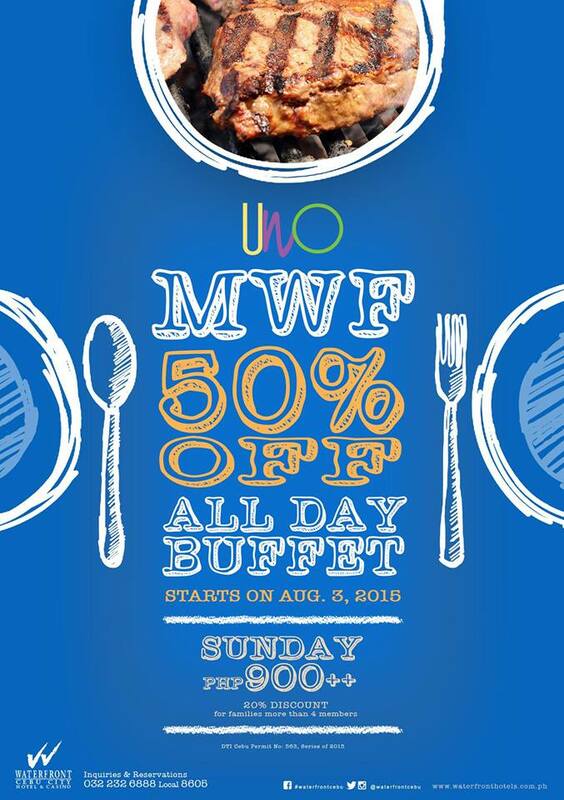 Waterfront Cebu Hotel and Casino UNO will have a Buffet promo every Monday, Wednesday and Friday starting August 3, 2015. Contact their number now for reservation and how to avail the promo. 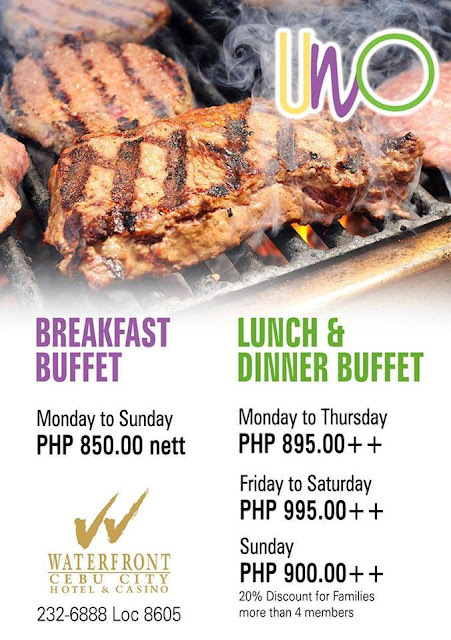 Every ‪#‎Mondays‬, ‪#‎Wednesdays‬ and ‪#‎Fridays‬ starting from August 3, 2015, take delight in the same selection of superb international dishes at ‪#‎UNO‬ but pay only HALF THE PRICE as we proudly bring you ‪#‎MWF‬ ALL DAY BUFFET! 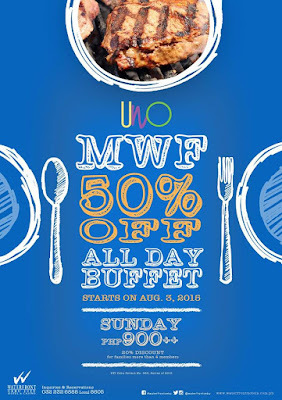 Gorge out on an array of mouth-watering culinary masterpieces as #UNO proudly brings you their newest #MWF ALL DAY BUFFET PROMO! Indulge on the same selection of superb international dishes but paying only HALF THE PRICE! Available every Mondays, Wednesdays and Fridays starting from August 3, 2015. grin emoticon What are you all waiting for? 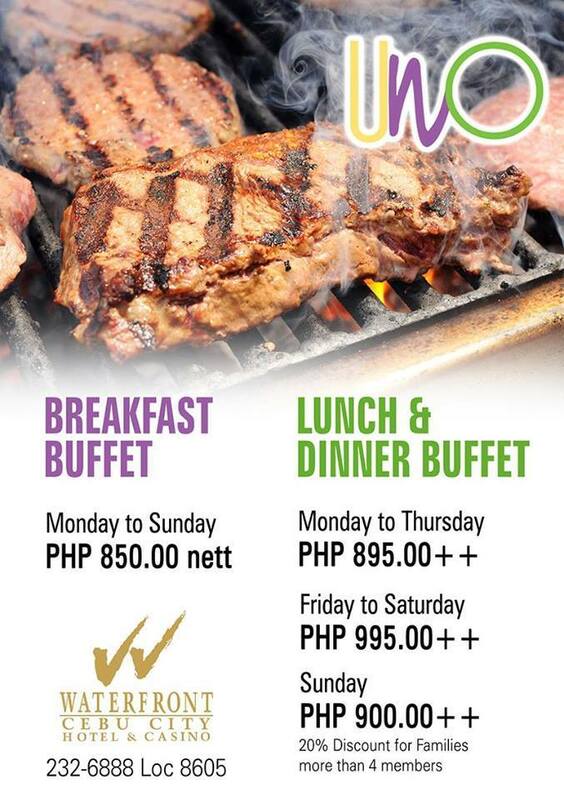 Make your reservations now by calling us at (032) 232-6888 local 8605!